Bellevue Family Practice was founded in 1983 by Dr. Robert Saniuk. He partnered with Dr James Biskup in 1991. Both of the owners have strong roots in this area, and thoroughly enjoy practicing in Bellevue where they can remain close to family and friends. They both maintain personal relationships with many of their patients. 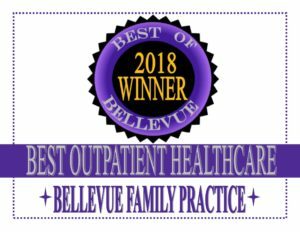 Bellevue Family Practice has grown over the years from a relatively small office and patient base to a large independently owned practice that is served by 3 physicians and 4 physicians assistants, caring for a large diverse patient base. We offer many services right here in the clinic to make it as convenient for our patients to obtain the needed services. Check out the services tab for a complete list of the many services that we offer.